Oh New Zealand... One of my favorite countries! Such an amazing and beautiful place, and there is no doubt about it, taking a road trip is the best way to see it all. I’m lucky to have been to New Zealand before as my boyfriend is a Kiwi, but this was my first time on the North Island. We spent a couple of weeks in a campervan, travelling from Auckland to Wellington, sightseeing and visiting family here and there. I loved every minute of it! 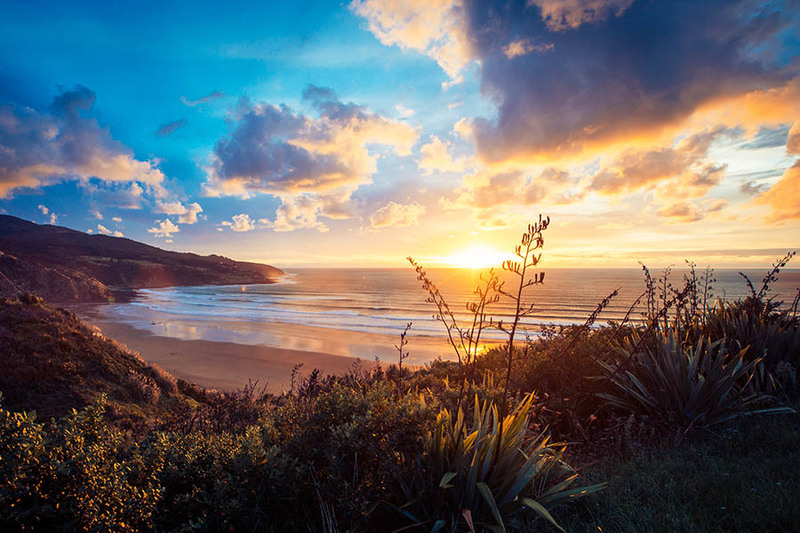 The North Island has so much to offer in terms of landscapes, culture and activities. Hiring a campervan is definitely the best way to do it if there are at least two of you. Distances in New Zealand are not too big so the most you will need to drive to get from one place to the other is roughly 3 hours. There's not much traffic and it’s quite hard to get lost as there aren’t that many roads... Remember there are only 4 million people in the whole country! Campervans are really good value and give more of a sense of adventure. Your campervan is not just your transport, it’s also your “hotel and your restaurant”! Travelling in a campervan means you don’t have to stick to strict bus timetables, you’re free to stop wherever and whenever you want and for however long you want. And it’s just really fun! If like me, you’re just travelling in the North Island. Jucy is your only option as they are the only suppliers who have a depot in Wellington. Jucy campers are cool and will get you noticed with their bright green flashy color! You will probably enter or leave the country here so why not spend a couple of days checking out the local attractions like the the Skytower (NZD $25) for amazing views over the city and harbor; have food and drinks in the Viaduct area, take a ferry to Waiheke Island and Rangitoto for some walks. We decided to also head out of the city to Piha Beach, west of Auckland, a beautiful beach which has good waves for surfing. This is where a campervan comes in handy because no buses go there. A nice little getaway from the city. From Auckland we set off to Coromandel Peninsula. 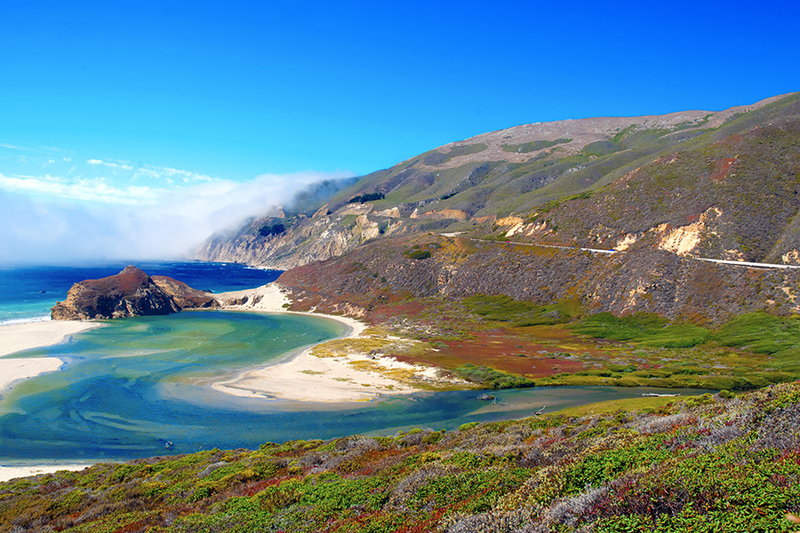 It’s a great area to drive around with beautiful scenery. Make sure you stop off in the town of Coromandel and try the green lipped mussels, the local specialty. 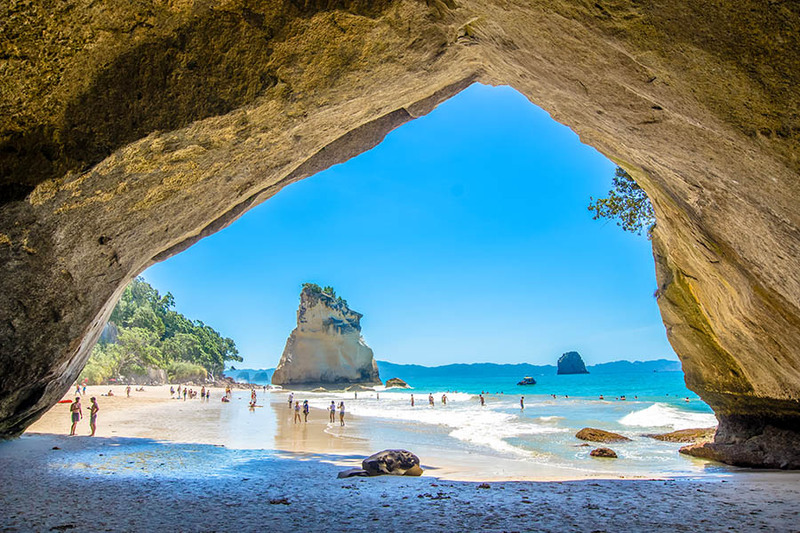 Cathedral Cove and Hot Water Beach are the two main attractions. Hot Water Beach has a layer of warm water under the sand so bring a spade and start digging your own private spa pool! However this will only be possible in the 2 hours before and after low tide. Make sure you also stop at Hahei beach on the way to Cathedral Cove, it’s absolutely stunning. The only reason you would go to Waitomo is to discover the world famous glow warm caves. You can do walking tours in the dry caves but the main attraction for the thrill seekers, is black water rafting with The Legendary Black Water Rafting Company. There are various tours you can choose from, ranging from $125 to $225, some more adventurous than others including abseiling and climbing. Fortunately my boyfriend’s cousin is a black water rafting guide so we were able to get in for free! We opted for the Black Labyrinth Tour which consists of down through the cave tunnels. It’s pitch black and the only bit of light comes from the hundreds of glow worms. It’s quite spectacular, a lot of fun and scary if you feel a bit claustrophobic in the dark like me! Rotorua, the egg smelling town! It’s definitely worth stopping here to see and experience all the steaming natural hot springs, mud pools and geysers. A big part of the population is Maori so it makes it culturally very interesting. We went on a tour in one of the only thermal living villages, Whakarewarewa ($30) where Maoris have lived for centuries. Included in this tour, they will show you how they cook in their underground ovens (‘hangis’) and there is also a short cultural performance. 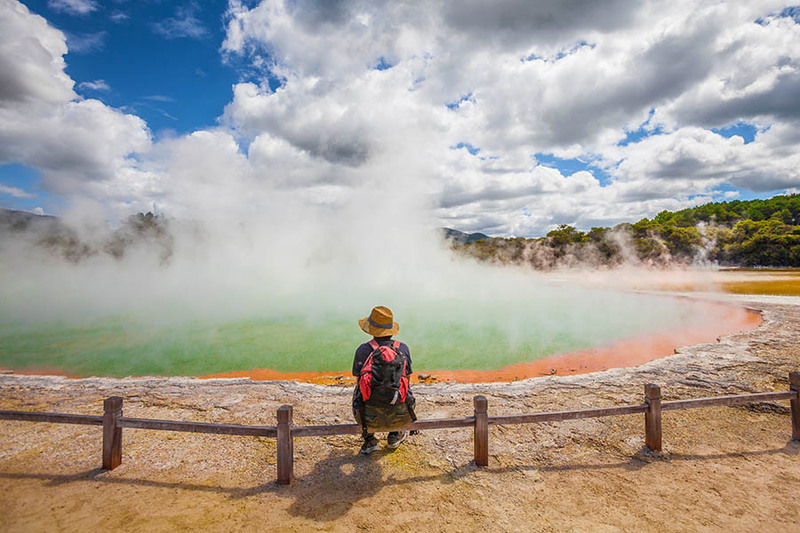 I would also recommend you go to the impressive which are located 20 minutes South of Rotorua. It takes about an hour and a half to walk around all the different colorful geothermal pools. Before you leave Rotorua, make sure you treat yourself to a nice spa at the Polynesian Spa. Taupo was probably my favourite place. The lake is absolutely stunning with a backdrop of volcanic mountains. If you’re travelling with a campervan, there is a great free campsite called Reids farm, along the Waikato River just a few minutes from town. Taupo is also a famous place to try out skydiving! There is a beautiful walk to Huka Falls which takes about 2 hours from town (one way). The path follows the Waikato River; why not stop along the way for a bungee jump or swing? There’s even a free local hidden hot stream along the walk, so take your swimming gear. The water is so clear; I don’t think I’ve seen anything like it before. The falls are really impressive too. You can also experience the falls on the water by getting really close to the base in a jetboat. The highlight of the trip was doing the Tongariro Alpine Crossing. It’s a 19.4km day walk in Tongariro National Park, known as the finest day walk in the world. The scenery is breathtaking and like no other. This national park is composed of three active volcanoes, Mount Ngauruhoe (otherwise known as Mount Doom for you Lord of the Rings fans! ), Tongariro and Ruapehu. The last eruption was in 2011, we were told to run if we felt the ground moving! The first two hours are quite tough but well worth the effort when you get your first glimpse of the stunning blue emerald crater lakes. 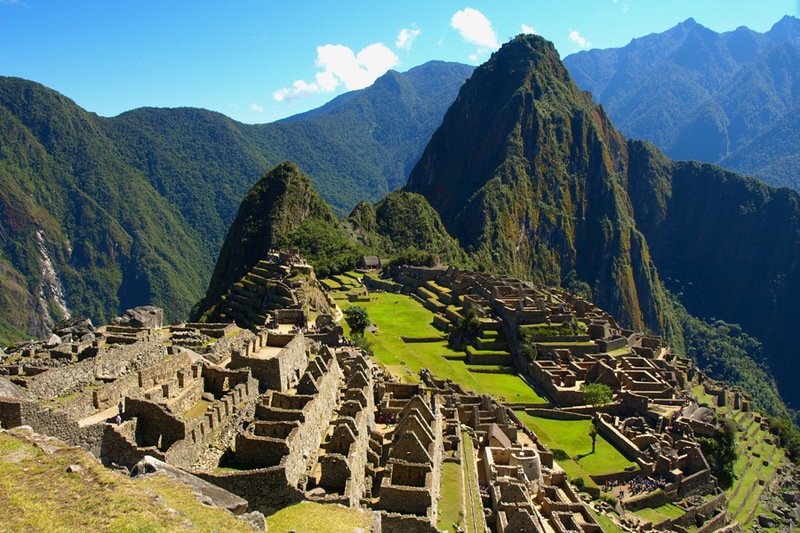 Words can’t quite describe how great this trek is, so experience it for yourself, it’s free! Again, having a campervan or a car makes it a lot easier as you can park it at the finish point and take the shuttle bus from there in the morning to the start point ($30 one way). There are free DOC campsites dotted around in the National Park. This means that when you finish the trek you don’t have to wait around for a shuttle bus. You should definitely aim to start the trek as early as possible in the morning to try avoid the crowds, the afternoon heat and to make it back in time before dark! It’s a proper trek so make sure you have all the right gear and information before heading off. Napier is an art deco coastal town, completely rebuilt after a massive earthquake in 1931. Napier is situated in Hawks Bay, a famous wine region so there are plenty of vineyards and wine tours to choose from. Go to Te Mata Peak, the landscape is breathtaking! Because we were staying with family we went to lesser known places like this really cool farmers market just on the outskirts of Hastings and we also went to Ocean Beach. This is an amazing beach tucked away, with good surf, white sand and warm water. You will need your own vehicle to go there. I’m not much of a city person, but I loved Wellington as soon as we got there. It has it all, a bustling city, a harbour, beach and lush countryside on its doorstep! Make sure you visit the Te Papa museum, probably the best museum I have ever been to. 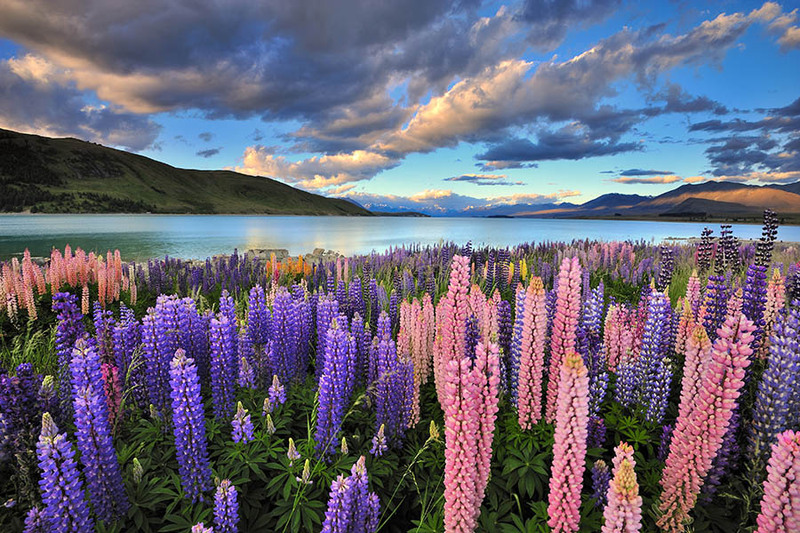 It goes through the history of New Zealand, the Maori people and culture and the country's geology. Walk along Cuba Street, the alternative and arty side of town. Take the cable car up the hill for an amazing view and meander your way back through the botanical gardens. Having your campervan means you can take a drive around the bay starting at Evans Bay and all around to Lyall Bay. Stop off in Shelly Bay and relax in the sun on beanbags for a BBQ lunch at Chocolate Fish Cafe looking out onto the harbour and city. If you are a solo traveller, another great way to travel around is by bus. 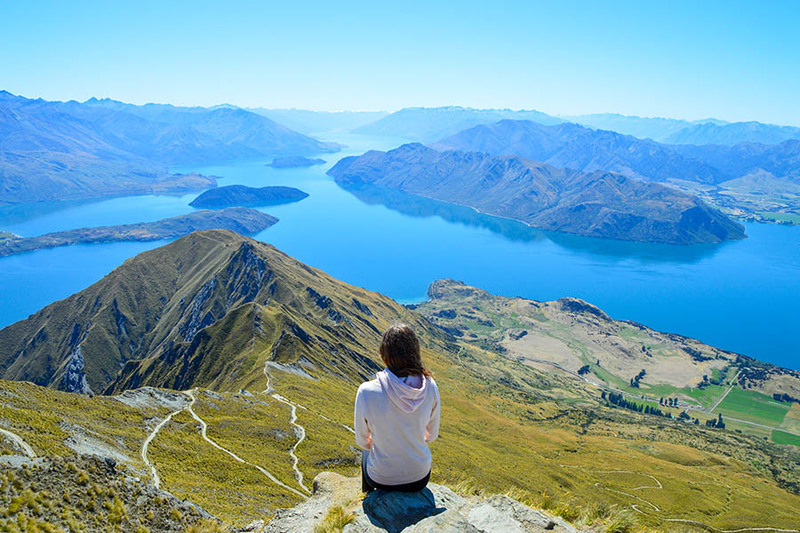 New Zealand is, without a doubt, a country I recommend visiting and if you’re looking for a way to include a New Zealand road trip in your round the world trip – please contact me. Here are some ideas for how to include New Zealand in your multi-stop flights - I can make any route, just ask!